According to a CNBC report, Sears would like to continue to license the retailers goods to sale at its stores. That doesn't seem like a dealbreaker as any buyer wouldn't want to lose the biggest customer in the process. Now the license fee might cause problems. The issue is whether Lands End has a value that the market will pay. Sears bought them for over $1.8B and naturally wants to sale at a gain. Bankers supposedly suggest the retailer is only worth between $1.2B and $1.6B. A sale might not be so imminent if the valuation is that far off. The price might just signal whether Sears has a cash crunch or not. If it accepts a deal below $1.6B, it will signal that cash is tight. While an attractive price above $1.8B will continue to signal that the assets are worth a lot more than most on Wall Street expected. The other news today was that the valuable DieHard brand has finally started to expand. 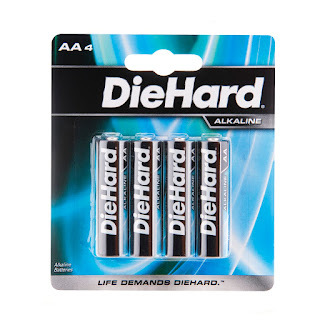 After 45 years of being the brand of choice for automotive batteries, it has expanded into batteries for household devices. My question is 'What took so long?' Why didn't Sears expand into other battery segments long ago? This was one of the highlights of my article a while back matching the valuation of the brands with external brands. One being Energizer (ENR) compared to DieHard noting the vast value of Energizer compared to Sears as a whole. Energizer alone has a valuation of almost $5B while Sears has just jumped back above $7B. This follows the move to sell Craftsman tools in Costco and other external stores. In this case though, Sears is expanding the products sold versus the locations. Two good signs that Sears is moving on all fronts to increase value. No longer is the company stuck to historical product lines and internal sales only. Below are a couple of figures from the release today. Figure 2 has a good commercial to be introduced on April 1st that plays off the iconic commerical for the automotive battery.